NTT Communications will acquire a maximum 91.2% equity stake in Arkadin, which delivers SaaS conference-related solutions covering audio, web, video conferencing and unified communications services. Arkadin, which was launched in 2001 by CEO, Olivier de Puymorin, serves approximately 37,000 customers in 32 countries, including France, Germany, the UK, USA, Australia, China, Singapore and Japan. The company is based in Paris. Arkadin was backed by AXA Private Equity. Arkadin offers unified communications based on Microsoft Lync, as well as Cisco Jabber combined with WebEx. Services are delivered in the cloud. Arkadin also offers Adobe Connect for audio/video/web conferencing and collaboration. "With the acquisition of one of the fastest growing players in the industry, NTT reaffirms its ambition to develop services in the collaboration business for all of its partners and clients across the world. Arkadin's global seamless customer service and infrastructure will strengthen NTT Com's offering in both global conferencing services and total solutions, incorporating unified communications." Lockheed Martin announced a contract valued at up to $1 billion, with options that extend through 2023, to provide cloud services for the U.S. Department of the Interior. Lockheed Martin has a team of industry partners to fulfill the contract. Under the Foundation Cloud Hosting Services contract, Department of Interior data and applications currently housed in more than 400 data centers, rooms and closets will be moved to the cloud to increase efficiency and meet the Federal Data Center Consolidation Initiative. Paris-based NextiraOne reported a 21% year-on-year growth in its data center business during the first six months of 2013. The privately-held company said sSuccess has come from a number of exciting virtualization and data center transformation projects across Europe, with particularly high growth rates achieved in the UK, Germany, France, Belux, Poland, Hungary, Portugal, and Spain. 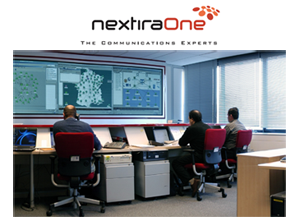 During the last six months NextiraOne has won many significant Data Centre projects across Europe, including a second Data Centre for Gazprom, won in the UK, the French Emergency Ambulance Services (SAMU) project on the island of La Réunion in the Indian Ocean, a very prestigious Euro-Centrum Project in Poland and a Virtualised Dynamic Data Centre project for one of Austria’s key educational institutes. "We are extremely pleased to have achieved such remarkable sales success in the first half of the year against a backdrop of continuing economic uncertainties in some European countries," stated Aman Khan, NextiraOne's Managing Director for Europe, Data Centre and Cloud Solutions. Lightower Fiber Networks, which operates a network spanning 20,000 route miles throughout the Northeast, mid-Atlantic and Chicago metro markets, announced a major 1,500-mile expansion throughout Virginia and the Washington, D.C. metro region. 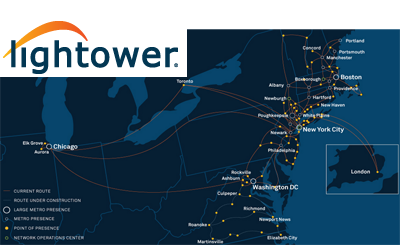 In May 2012, Lightower began constructing over 1,100 route miles of high fiber-count network blanketing most of Virginia and into North Carolina. Additionally, Lightower is announcing the addition of almost 400 route miles in the Washington, D.C. metro region, including parts of northern Virginia and southern Maryland. The company noted that its unique route between Washington, D.C. and New York is geographically diverse from the I-95 corridor. “This expansion dramatically increases the number of customers Lightower can serve in the Washington, D.C. metro and Virginia markets,” stated Rob Shanahan, CEO of Lightower. The SMS/MMS security gateway market worldwide totaled $41 million in 2012 and is forecast to explode to $363 million by 2017, according to a new report from Infonetics. "With nearly 10 trillion SMS/MMS messages being generated annually worldwide, SMS spam, mobile malware and SMS-generated multi-vector threats are an ever-increasing problem," observes Jeff Wilson, principal analyst for security at Infonetics Research. "But many mobile carriers haven’t yet invested in SMS/MMS security solutions, representing a large greenfield opportunity for makers of security gateways. 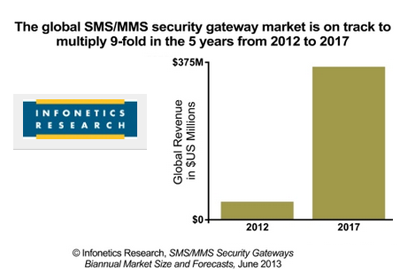 We’re expecting global revenue for SMS/MMS security gateways to grow at a staggering 55% CAGR from 2012 to 2017." The crowded vendor landscape includes full mobile messaging security solutions from companies like Cloudmark and AdaptiveMobile as well as SMS firewalls from a wide range of telecom equipment vendors. FireEye, which offers cyber security solutions, filed a registration statement with the Securities and Exchange Commission for a proposed initial public offering of its common stock. FireEye provides real-time, dynamic threat protection without the use of signatures to protect an organization across the primary threat vectors, including Web, email, and files and across the different stages of an attack life cycle. The core of the FireEye platform is a virtual execution engine, complemented by dynamic threat intelligence, to identify and block cyber attacks in real time. FireEye has over 1,000 customers across more than 40 countries, including over one-third of the Fortune 100. The company is based in Milpitas, California. Ericsson and STMicroelectronics completed the previously announced break-up of their joint venture, ST-Ericsson. Effective August 2, 2013 Ericsson has taken on the design, development and sales of the LTE multimode thin modem solutions, including 2G, 3G and 4G interoperability. In total, approximately 1,800 employees and contractors have joined Ericsson. ST has taken on the existing ST-Ericsson products, other than LTE multimode thin modems, and the GNSS (Global Navigation Satellite System) connectivity solution sold to a third party, and related business as well as certain assembly and test facilities. In total, approximately 1,000 employees have joined STMicroelectronics.